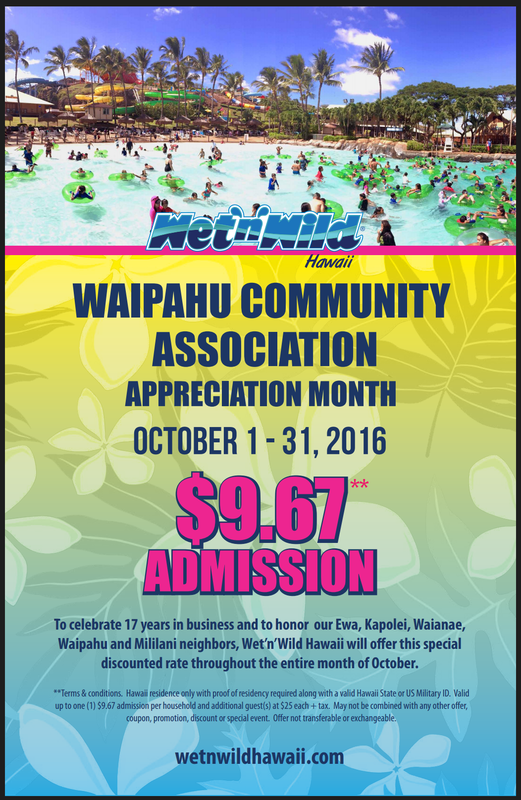 WCA would like to show thanks to our Community for your support by providing you with this great opportunity sponsored by Wet ‘N Wild water park. For the month of October (1st thru 31st), provide a valid Hawaii State or U.S. Military ID to receive a promotional offer of one admission ticket for $9.67 (discount of $29.00 off Kama’aina rate). For more information see flyer and terms and conditions.